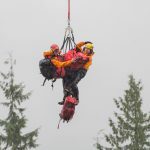 Home » Blog » Search Report » Two rescues at Buntzen Lake: It’s Still Winter! 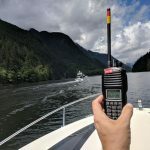 Coquitlam SAR was activated for two rescues in the Buntzen Lake area this weekend, both of which are typical for the transition from spring to summer. 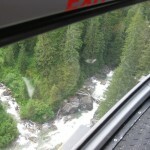 The team was alerted at 4:30 pm for an injured hiker on the lower part of the Halvor Lunden trail on Eagle Ridge. 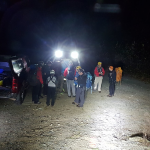 The hiker, with a suspected broken ankle, was being assisted by a very capable hiking group and was near the snow line where there was compact ice and snow on the trail. 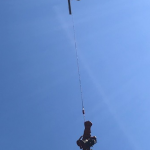 Because of the location of the subject and the nature of the injury we elected to use a helicopter long line rescue, with Talon Helicopters assisting. We’d like to thank the hiking group for assisting us in the rescue. 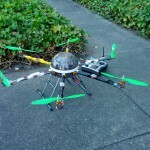 While the rescue of the first subject was under way, we were alerted for another incident. Two hikers, a male and a female in their early 40’s called and reported they were stranded on the Swan Falls trail at approximately 850m, well into the snow line. The subjects were cold, and could not find the trail because the snow was so deep it had buried the trail markers. As it was getting dark, they had elected to call for help – which is the right thing to do. They were reported to have been well equipped for the trip. 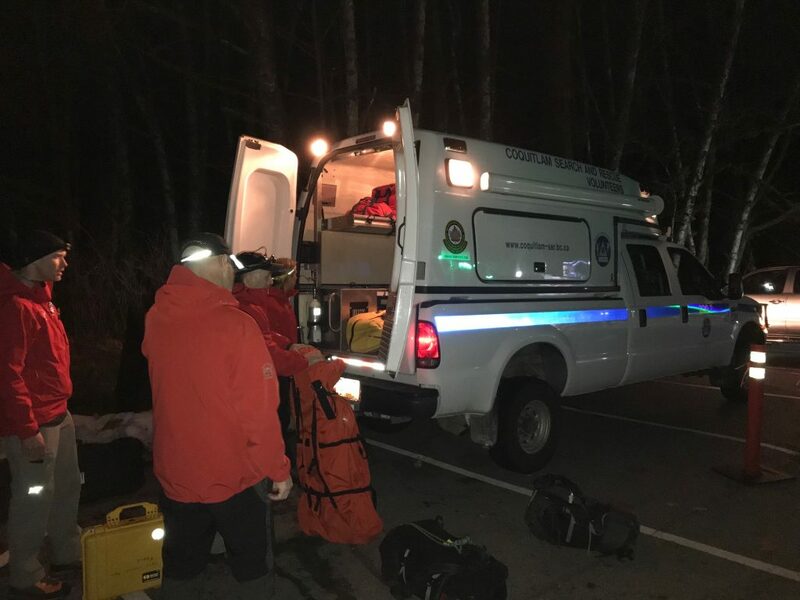 Coquitlam SAR sent a team of four members up the Swan Falls trail. Upon reaching the snowline at 450m, the team encountered difficult travel conditions. The relatively warm temperatures throughout the day had made the snow on the trail very soft, and the team was “postholeing” (sinking knee deep in the snow) – making travel slow and exhausting. 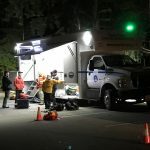 They found the subjects at 11pm after four hours on the trail. After assessing the subjects and re-warming them for short time, the team began descending the trail. 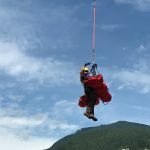 A second team with rope rescue equipment was sent to assist, including two members from Ridge Meadows SAR – since, after the sun went down, the soft snow froze, and became as hard as ice. 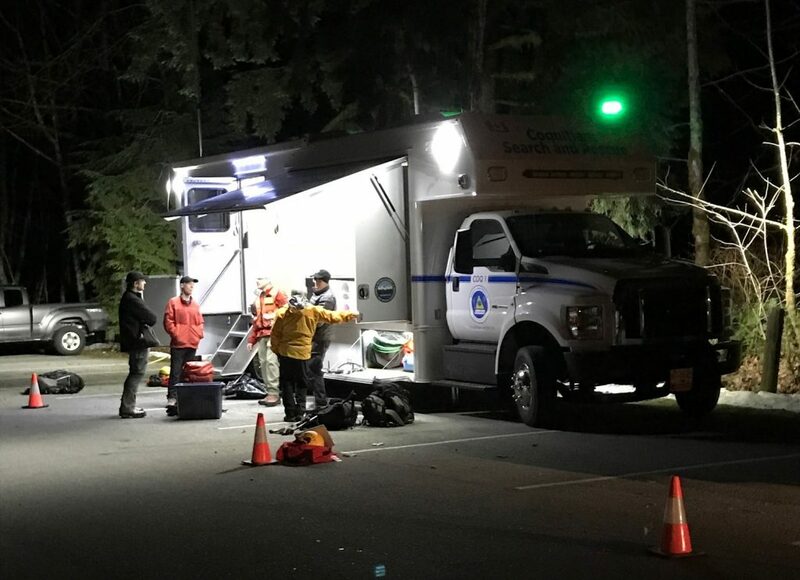 The subjects and SAR members arrived at command at around 3:45 am Sunday morning. 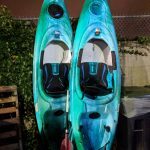 We’d like to commend the subjects of both of these rescues, and the hiking group who assisted us in the first rescue, for being well prepared and equipped for the conditions they found themselves in. Sometimes accidents happen. However, both of these rescues illustrate typical responses for us this time of year. It is still deep winter in the mountains. Eagle Ridge is approximately the same elevation as the North Shore mountains and has over 3 meters of snow. This means winter travel conditions will exist until June. Trails may be difficult to find, and without snowshoes, or other snow travel experience, travel is slow and very tiring. We’d also like to remind people that, while your Smart Phone might have a GPS installed, that it’s prefereable to carry and use a paper map, and compass, as well as a wilderness GPS. Your phone should stay in your pack and be used to call for help if you need it. As SAR members we regularly encounter people who are calling us with very low batteries, which makes our job harder than it needs to be. 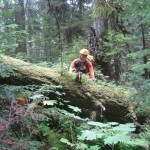 Enjoy spring but remember to treat the backcountry like it’s still winter!